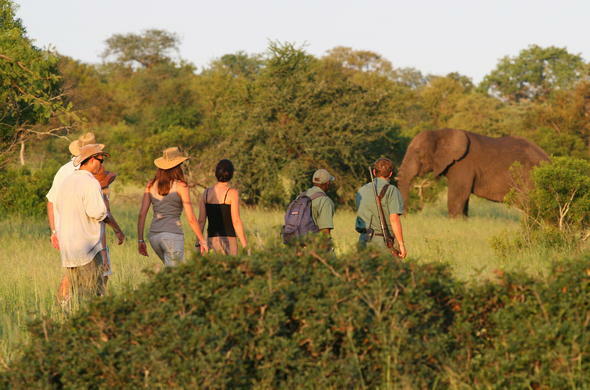 There are certain rules and regulations that one should be aware of while on safari. One of the highlights of most safaris is going on game drives and bush walks, where you get the opportunity to see amazing wildlife in their natural habitat. However it is vitally important that you remember to respect the natural surroundings and wildlife. Bush vegetation is extremely sensitive. Off-road driving causes erosion and encourages the encroachment of unwanted plant species. Observe the animals silently and with a minimum of disturbance to their natural activities. Loud talking on game drives can frighten the animals away. Night drives with excessive use of spotlights disrupt the activities of nocturnal animals causing temporary blindness and disorientation. Never tease or corner wild animals, this may cause an unpredictable response and a potentially dangerous reaction. Do not remove any natural material from wildlife reserves. This disrupts the ecology of the area and promotes the spreading of diseases amongst domestic animals and crops. Never attempt to attract an animal's attention. Don't imitate animal sounds, clap your hands, pound the vehicle or throw objects. Please respect your driver / guide's judgment about your proximity to certain wild animals. Don't insist that he take the vehicle closer so you can get a better photograph. A vehicle driven too close can hinder a hunt, or cause animals to abandon a hard-earned meal. Remember that your guide is an expert, so always follow his advice and ask him questions if you are unsure of anything. Never sleep outside. Take only photographs and memories with you. Litter tossed on the ground can choke or poison animals and birds and is unsightly. Refrain from smoking on game drives. The dry African bush ignites very easily, and a flash fire can kill many animals.